Do you love dogs? Do you love music? 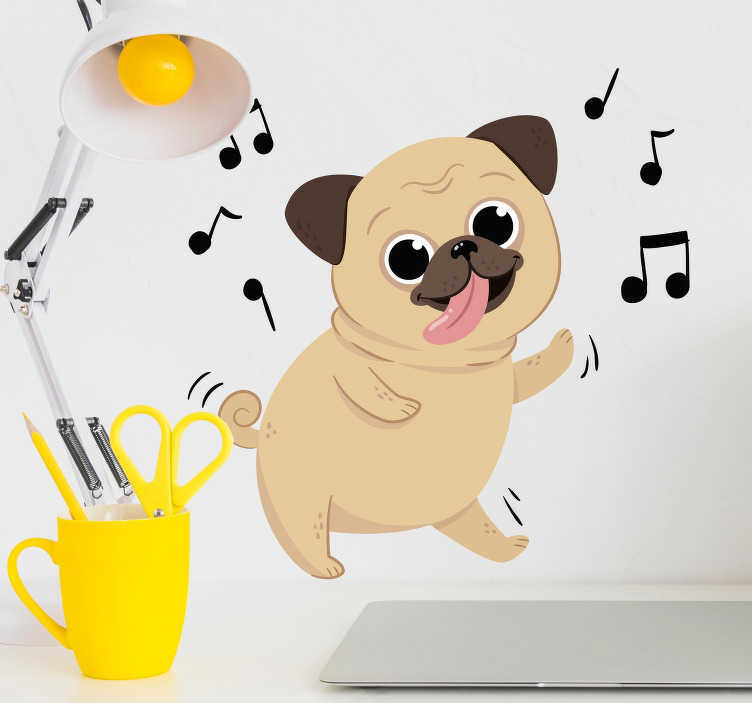 Let´s be honest - They are two of the most loveable things in the world, so why not decorate your home with this fantastic wall art sticker, depicting a dog dancing to a tune, which is being shown by the musical notes around the dog! Ideal animal decor for those dog and music fans!